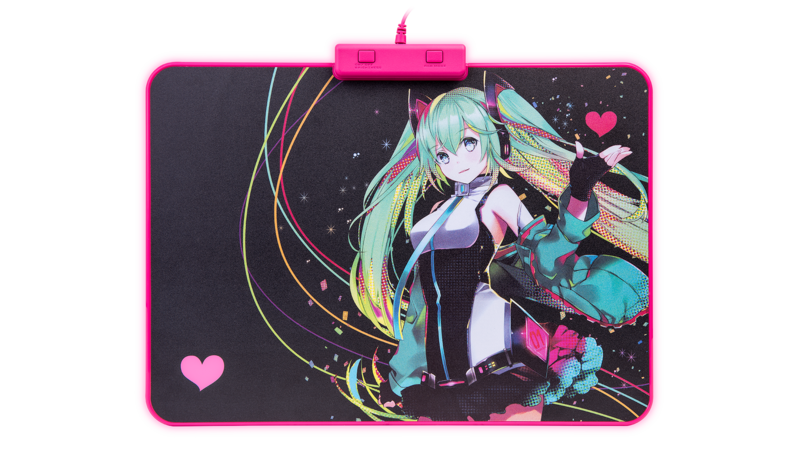 The DRACONEM RGB Hatsune Miku Edition is a limited-edition model in collaboration with the popular Japanese virtual pop-star “Hatsune Miku”. This Hatsune Miku drawing is created by famous Japanese iillustrator, Kirabagani. 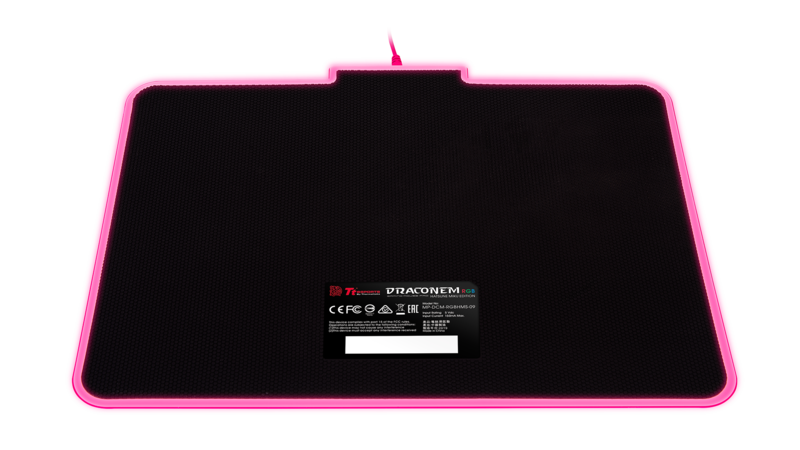 The DRACONEM RGB HATSUNE MIKU Edition is built with a special optimized hard surface that allows for superior mouse tracking and movement that gamers crave and need. Giving you superb accuracy for those crucial moments of gameplay. 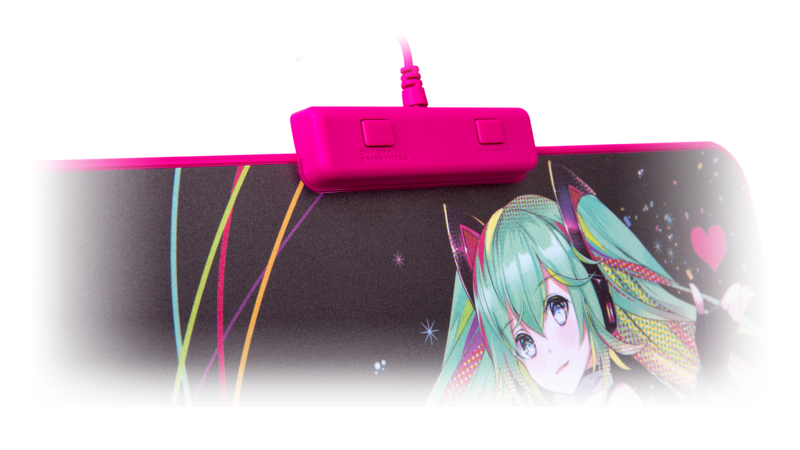 With two dedicated control buttons, you can easily change lighting effects or adjust brightness levels of the DRACONEM RGB HATSUNE MIKU Edition on-the-fly. 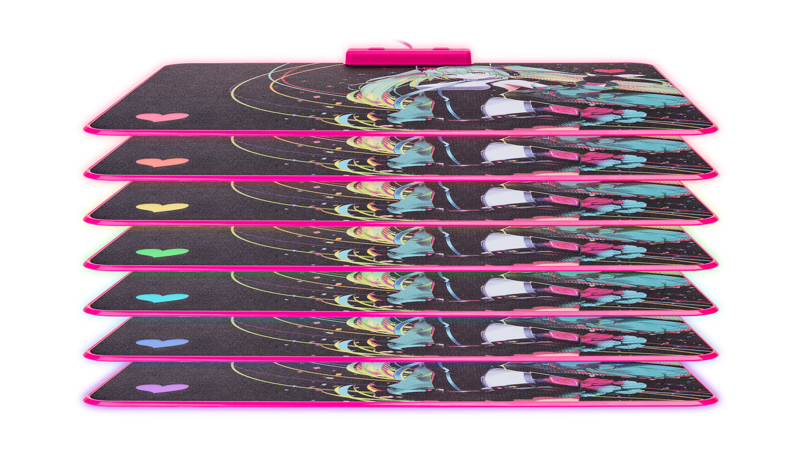 The DRACONEM RGB HATSUNE MIKU Edition comes packed with 4 striking visual illumination effects (Miku Pink, Spectrum Running, Pulse & Wave) and 5 brightness levels to suit your preference. Engineered using the highest quality of components, the DRACONEM RGB HATSUNE MIKU Edition provides purer, more accurate color illumination. 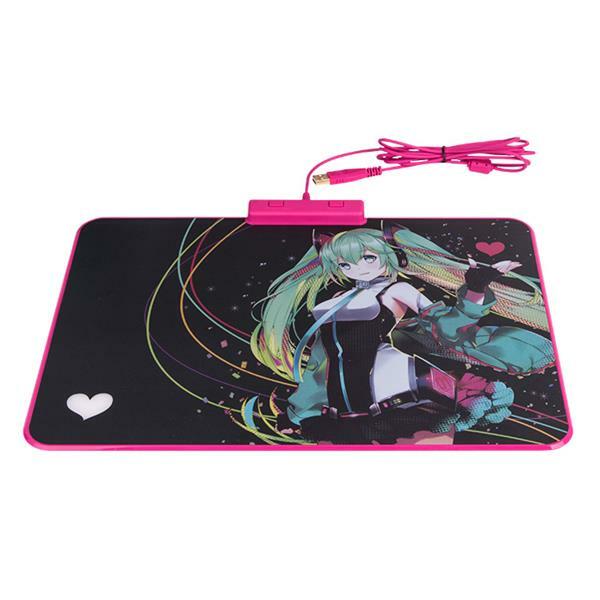 A custom made non-slip rubber base ensures the DRACONEM RGB HATSUNE MIKU Edition mouse pad stays put even during the most intense of gaming battles. Remain secure, sturdy and in control as you game without missing a beat. Get ready to game with confidence with zero lift-off or accidental mouse slippage. The DRACONEM RGB HATSUNE MIKU Edition is designed with a micro-textured finish that delivers best-in-class accuracy with flawless speed and precision. Perfect for competitive gamers where speed and accuracy reigns supreme.